At Clarity Now, our core business is coaching our clients to map out and achieve success in their careers, business and other important aspects of their lives. We provide innovative and practical brain-based tools for providing focus, taking action and achieving success. Clients acclaim our executive leadership and career coaching for their excellent results. We coach our clients to build road maps for their futures and to take the action to get there; to understand what they are genuinely suited to and are likely to enjoy then build this into their careers and other aspects of their lives. We coach our clients to understand how to excel in their chosen roles, achieve their specific goals and to understand which skills are vital to put into practice. Then we coach them to succeed with the specific business skills in ways, which work authentically for them. In addition, in our business coaching area, we coach our clients to start their own businesses, grow their businesses and work on their businesses. We have a reputation for being able to coach our clients to successfully create a balance between the business, career, and personal aspects of their lives and to help them understand their true strengths and potential blind spots. We coach our clients in ways to excel in their current and future roles and assist them to create a framework to identify and harness what it is that they want for themselves in their future, and what they need to do to achieve this. In addition, we have a reputation for being able to assist our clients to develop their own unique, successful leadership and influencing styles. Clarity Now counts some of Australia’s largest public and private corporations as confidential clients, as well as some of the most enthusiastic and entrepreneurial Small Medium Enterprises (SMEs) in Australia. The team at Clarity Now have the expertise and experience to coach you to create focus, take action and achieve success in ways that matter to you. If your aim is to bridge the gap between where you are today and where you would like to be in the future contact us now. Dr Sharon Orrman-Rossiter is Managing Director and founder of Clarity Now, one of Australia’s most highly regarded executive coaching companies. Sharon has a formidable pedigree of professional and personal achievements. She originally trained as a research scientist and has a PhD in medicine. Her postdoctoral research investigated the neuroscience of brain chemicals. She has worked in the global pharmaceutical and devices industries where she held senior management positions. She has been an executive coach for over sixteen years. Using custom designed programs, Sharon coaches professionals so that they can excel in their work and their lives. Since founding Clarity Now, Sharon has been a finalist in the 2000 Telstra Business Women Awards©, and is now a well-recognized judge in business awards. Sharon maintains her strong knowledge of, and interest in, science and combines this with her business acumen. She was Chairman of the Board of the Monash University Centre for Biomedical Engineering for eight years. She keeps abreast of the latest neuroscience and incorporates this into her executive coaching at Clarity Now. 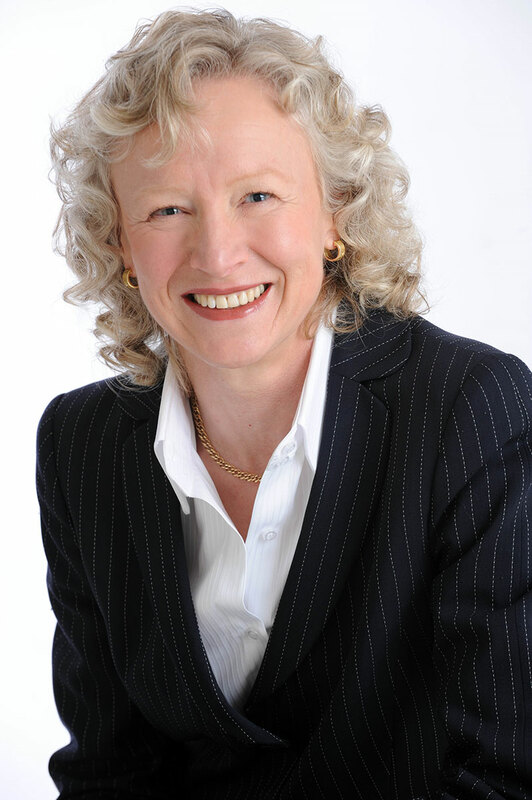 Sharon has made significant achievements in business, by fostering authentic leadership as well as coaching women and men to create and build their own highly successful businesses. Not only has Sharon achieved great professional success, in addition, she is a competitive amateur triathlete and has demonstrated her focus on achieving successful results by recently completing an Ironman triathlon and representing Australia (in green and gold) four times at World Championship level. Coaching owners of micro business to begin and grow their businesses significantly – including taking their business to IPO. Kevin Orrman-Rossiter is Director and co-founder of Clarity Now Pty Ltd. An expert in brain-based performance coaching, Dr Kevin Orrman-Rossiter-Rossiter has led the Clarity Now development team in creating unique coaching methods for over eleven years. 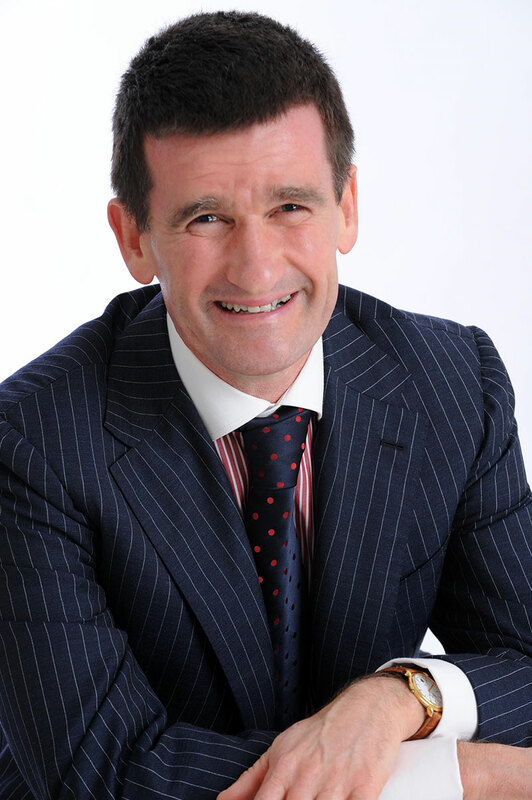 He is an outstanding executive and leadership coach, a social researcher and futurist (member of The World Future Society), a successful business entrepreneur, mentor and public speaker and member of the Australian Futures Foundation, International Coach Federation and the Australian Institute of Company Directors. Kevin originally trained as a physicist (BAppSc). He has a Master of Applied Science, a PhD in Physics (UK) and management and marketing qualifications from the Melbourne Business School (nominated for the initial MBS Distinguished Alumnus Award in 2006). He has spent more than ten years in England, USA and Australia carrying out cutting edge materials physics research. He was awarded Australia’s most prestigious research award, the Queen Elizabeth II Fellowship, to carry out research in Australia. He has subsequently worked in international manufacturing and the international financial services and insurances industries, where he held a number of strategic senior management positions. During this period he also became recognised as a highly original and creative strategic marketer. Kevin has trained with the DeBono Institute and actively participates in the Neuroleadership Institute and the International Positive Psychology Association. One of Kevin’s passions is fostering entrepreneurship and innovation. 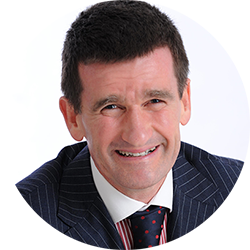 He has made significant achievements in business, by developing leadership in Australian business professionals as well as coaching individuals to create and build their own highly successful businesses. Kevin facilitated and taught, by invitation, at the Biz Science Entrepreneurship Programme run as a Committee for Melbourne two-year initiative in 1999 and 2000. Kevin was a judge in the 2002 Telstra Business Women Awards©. Kevin exemplifies the balance in his life that he coaches others to achieve. Among his interests, he is a competitive triathlete. Kevin has represented Australia in the World Triathlon Championships at Sprint Distance (Gold Coast (AUS) 2009), Olympic Distance (Lausanne (SUI) 2006) and Long Distance (Lorient (FRA) 2007, and Perth (AUS) 2009). Kevin is also a keen long board surfer and dancer. Kevin and his wife, Sharon, are Australia’s twist champions! Kevin’s passion is to encourage others to engaged with life; be curious, innovate and learn. "Kevin Orrman-Rossiter has been an invaluable ally in my journey to become an effective leader. Kevin's wise counsel, combined with his extensive professional knowledge, has provided outstanding support for me. A particular characteristic of Kevin's that I appreciate is his ability to demonstrate compassion and a personal commitment to my success, while also ensuring I take responsibility for my own professional and personal development. I have greatly benefited from my association with Kevin." "In a nutshell, Sharon, my coaching has had a huge impact on ghow I feel about myself, how I do things and how I view and respond to other people and their actions. Others have noticed this change, particularly those closest to me. I still have some way to go but rather than viewing everything as a problem, I now look forward to meeting the next challenge and using my tools the best way I can. Your support and direction has been invaluable. Definately worth the investment!!!!." "Kevin's coaching played an important role in my professional development by assisting to identify the drivers for what 'success' meant to me, not just in the office, but in life, and then how to focus my energy on achieving them via manageable and measurable goals. Kevin's amazing energy and charisma mean his sessions are also invigorating and one leaves empowered with a 'can-do' attitude. There is no doubt Kevin's coaching program add value beyond dollars to his clients, professional and personal lives." "You (Sharon) are inspirational, a coach who I admire on both a personal and professional level. You are passionate about everything that you do and are deeply committed to excellence. Thanks to your skills, support and innovative ideas I have already achieved my goals for the next year. Starting my own business in Property Development." "As the owner of my business, I feel empowered to move into the future with more clarity and certainty that ever before." "I am writing to thank you (Sharon) for the career development and coaching program you and your team designed that resulted in a new and challenging career move for me. The program, which comprised coaching and implementation exercises not only gave me a strong focus for the interview process, it provided me with important tools for both my personal and business life." "Kevin is outstanding in the role he plays as corporate coach. He has an ability to translate theory into pragmatic strategies for improving performance and his experience in corporate Australia is invaluable in providing insights from other industries and other successful managers that one would not ordinarily be privy to." "Sharon Orrman-Rossiter offered me the opportunity to work through a unique process. An innovative program designed to help me recognise my skills and abilities, to achieve clarity on potential roles and organisational types that would be a good fit for my work preferences and find out what is really important to me."...... "Sharon's leadership has really assisted me to engage in the process of change.".... "A key component of the program is flexibility." "Kevin is like a GPS unit. He helps me identify and understand where I've been, where I am now, and what I have to do to get to where I want to go. I always walk away from our sessions feeling inspired and energised - true indicators of a terrific coach".